As we know, Ebooks have become the latest trend on Digital front. You may have heard of eBooks mainly through Amazon Kindle services or ePub readers which have become popular. However, eBooks have yet to replace the physical book culture from ages back. The main reason for such delay in worldwide popularity is that too many formats for print media are available. As a user, you have at least three different forms for your eBook reader or application. Hence, the question is – How do you make a choice between them. Which is the best form for your use? This article tries to see where the styles differ. 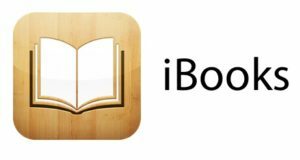 If you are using Apple devices, the chances are that you might’ve seen an application called iBooks. This is Apple’s eBook format which ends with extension iBook. Thus, you can read books which conclude with this extension. You can also use iBooks for supporting images and tables. In addition to these, you can also get your books under Digital rights protection as well. Also, Other features are video, interactive media support, highlighting and sharing content and text wrapping. However, you cannot view or read iBooks on other devices or apps. ePub is by far the most popular eBook format. This is because ePub is flexible and open to support in other devices also. Therefore, you can view and edit ePub content on multiple devices or reading apps. In addition to this, you can also convert ePub to Mobi format easily in order to read it on Kindle a well. 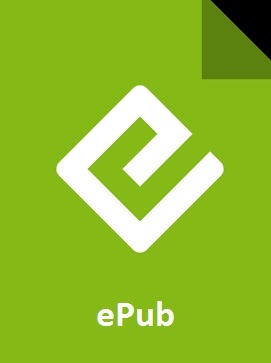 International Digital Publishing Forum introduced ePub in the market. With epub, you can include media content, graphical content, audio and video clips as well. If you are an avid eBook reader, you might have heard about this format. You can read this format on Kindle devices and other major eBook reader applications. Initially, MobiPocket systems designed Mobi format. However, in later years, Amazon bought Mobi format from Mobipocket systems. You can include all the media content, view and share text content as well. Also, you can find Mobi eBook with the extension AZW on Amazon Kindle bookstore. However, you may also see some other extensions for Mobi files as well. In addition to this, Mobi format is the final form. This means that you cannot edit or create this type over other eBook readers except Kindle. This form ends with an extension PDB. You can usually see this format on Palm devices. Also, you can have desktop, Android, Symbian, iOS and Windows versions for this too. The best feature of this format is that you can view one page at a time, like a physical book. Secondly, you can include media in this, and it supports features like footnotes, marking text, etc. You can also export the highlights as a memo. PDB was first brought in by Barnes & Nobel. Later on, Adobe joined them in bringing out eReader format in the form of ePub. Because of that, you can now view eReader format on multiple platforms. Almost all digital eBook users know this format by Adobe. PDF means Portable Document format. As the name implies, you can use a PDF file on different platforms like Windows, Apple, Android, and Linux. Since Adobe systems provide support to this format, you can view it on every device as well. In addition to this, you can also include plain media content within PDF too. This is an open format type, which means that you can use the view, edit and share this PDF file overall systems as well. A familiar name in tech giants is Microsoft. You know the deal is significant when Microsoft comes out with an eBook reader format. The form we are talking about is Microsoft’s LIT. As you might’ve guessed already, LIT stands for Literature. The programs which will open LIT is Microsoft Reader and Convert LIT. In addition to others, you can also Microsoft Word to convert eBooks to LIT files. All you have to do is install ‘read in Microsoft Reader’ add-on in a word. Then, you can open eBooks within MS-Word, and save the output in LIT format. LIT also supports DRM protection so that you don’t lose your files over the web. Fiction book in itself is a modern XML-based eBook format. You can use multiple devices to read and edit Fiction-book format. However, Fiction-book has not much to do with regards to the physical appearance of the book. Therefore, you can use Fiction-book formats to create, edit and save eBook’s metadata information. Metadata includes Title, Author, Copyrights, etc. which are saved as code in the eBook. You can then proceed to convert Fiction-book format into other eBooks such as ePub or Mobi, without losing the metadata for it. Thereby, you can use Fiction-book best for conversion purposes. HyperText MarkUp Language is the full form of HTML. Most of the web pages that you visit on the internet use HTML as their coding. Now, over the years publishers started using HTML to format their eBooks as well. You can read the eBooks, which use HTML as a base, on web browsers like Chrome or Safari. As HTML uses simple text coding through ASCII or UTF-8, you can edit them with HTML editors. In addition to this, HTML divides content data and images in separate folders. When you view ePub, Mobi, LIT files, HTML zips the two folders and presents it as a continuous flow. Now with latest eBook revolution, you can view and create Comic books in digital format too. You can process them under the extension CBR, CBZ, CBT, CBA, etc. These formats support the sequential flow of pictures and content. Therefore, you can archive the images, of jpeg or png types, and play them in order. Thus, you get the experience of flipping through a comic book. You also get additional features such as Press flipping, Zoom-Ins, Jump pages, etc. Having said this, you can still edit the Comic book archive using HTML editors and save them in above formats. Whenever you download and try to install a file on Windows OS, you come across a file with name EXE. This is the basis for creating a MultiMedia eBook. This means that you can run the eBook instead of reading them on your device. Multimedia eBooks are a step beyond the usual book content and experience. You can involve high-end graphics, 3D content, User interactive activities for a more involving experience. Hence, Multimedia eBooks are also called Enhanced eBooks. The primary purpose of an eBook here is to have all much visual content as is possible. If you are using the latest MS-Office for your textual needs, you know Docx format. This is the basic text format supported by Windows to view, edit and save text content. You need to have MS-Word on your system to open and edit Docx. Docx format is an upgrade from Doc format in Windows. However, there are many third party tools which process Docx as well. You can also include audio and visual content within the document as well. Having said that, you cannot enroll DRM protection to this format, and therefore you might end up losing the content over the internet. You may have incredible amounts of data stored on physical paper. However, you may need to convert them into Digital format, for editing or sharing it through the web. This is where DjVu format comes into play. You can use DjVu format, to store scans, including a combination of texts, line drawings, indexed images, etc. DjVu works on high-end technology concepts like image layer separation of text and background/images, progressive loading, arithmetic coding, and lossy compression for bitonal (monochrome) images. Therefore, you can record the files upon your system in highest quality and within lowest space requirements. A Newton Book uses an open PDA based format. Though you might not find much about this format, as it has been discontinued, you can still see that there are many Newton format books available online. However, you can still view those titles within Mozilla Firefox browser. You can see that Newton book includes audio-video content, Unicode hypertext styles, and character styles. You can open also open Newton Book within Onyx Newton reader as well. When you use MS-Office versions of 2000 and before, the text files you process are saved in Doc format. Almost everyone related to text editing, publishing, know about Doc format. 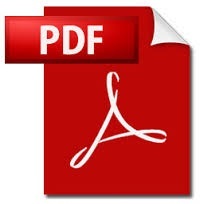 Together with PDF, Doc is also one the first text content format which has been widely popular. You can see that book matters save with the extension DOC within this format. The Doc formats run on Microsoft Binary File Format. It supports special characters, symbols, multiple fonts, etc. Therefore, You can open and edit Doc files on almost all eBook readers and applications. Plucker is an offline web text format which eBook readers such as Palm OS support. This form contains POSIX tools, scripts, and “conduits” which work on Linux, Mac OS X, Microsoft Windows, and Unix too. You can use for features such as Clickable images, Italic and Narrow points, Configuring layouts, etc. Another added advantage is you can also use the stylus on this for gestures, and hardware buttons. You can save or open this format with an extension PDB. Also, PDB and Plucker are both free source tools and hence multiple reader tools can open them. If there is a text format which is almost exactly similar to XHTML, then it is INF. INF means Information Presentation Facility. You can use INF for providing information online-help and hypertext material on IBM OS-2 systems. Therefore, a publisher may use any INF to process and edit any output he desires. Also, IPF files are compiled with IPF Compiler which ensures that production is perfect. You can view or modify INF format by using tools such as IPF Editor, UDO open source generator, Free pascals document generation tools, etc. However, you won’t find many readers or applications supporting INF in the present times. Generally speaking, Plain Text format is basically which only includes textual matter with no attachment to visual or graphic content. You will find that Plain Text Format (with an extension of TXT) ensures a simple arrangement of text, such as line breaks and tabulation characters. Because TXT files are created and saved in basic text form, TXT is highly compatible with all known eBook readers. In addition to this, there are some styles which can be included with TXT files such as Bold, Italics, etc., but they are easy on markup. Hence, Plain Text Format is the base for all other text formats. TXT became the household name for desktop word-processors, eventually making way for other formats like Doc, Docx, RTF and PDF. Subsequently, ePub and Mobi took over TXT files mantle. PostScript is a computer language for creating vector graphics. Like PDF, PostScript Format (coming with an extension of PS) this was brought on by Adobe systems. A publisher or an illustrator can use PostScript format within printing tasks deriving from Text inputs. PostScript goes beyond the typical printer control language. It is a complete programming language of its own. Many applications can transform a document into a PostScript program whose execution will result in the original document. You can send this format to an interpreter within a printer and get it to print perfectly. This format is device-independent. Hence, you can use this over any operating system including Linux, Windows or Apple iOS. You will see that PostScript format handles font families perfectly well. Tome Raider is an ebook reader with cross-platform support on handheld devices such as Android, PocketPC, PalmOS, Windows or iOS. The format Tome Raider was created by Yadabyte, a UK software and web development company. The first version of Tome Raider came out in 1999. Yadabyte then developed up to Tome Raider version 3. With Tome raider, you can access 4000 free eBooks which are not available on any other portal. In addition to this, Tome Raider is the only software which supports Tome Raider database and International Movie database too. You can use Tome Raider to drag and drop TR files on your PC and convert it to further or back formats. If you have a fair idea of XML formatting, you can use OpenXPS for describing your pages. OpenXPS is an XML specification basing on new print path and color managed vector designs. Therefore, you can use OpenXPS for including and editing graphical content and color management in your prints. However, Windows 7 supports XPS file formats. If you are using Windows 8 or above, you will have to save the resultant output in OXPS extension. Although these formats have different qualities which make them stand apart, you may find it to be a lengthy procedure for converting each. You may use online tools for conversion, but then you always have a risk of losing data on the web. However, you can still approach professional translation services company and ensure that the conversion is done perfectly. PreviousPrevious post:Top Websites To Publish And Put Up Your eBooks For FreeNextNext post:What is Desktop Publishing- Everything That You Need To Know!